* The photos are not presented as a guarantee of result. The results may vary. ** Images are for presentations purposes only. Unwanted facial and body hair is a common problem that can be a source of distress for both men and women. We will provide advice for consumers here when considering the latest laser hair removal procedures. Excessive hair growth is classified as either hypertrichosis or hirsuitism. Many treatment options for managing unwanted hair have been available over the years, such as shaving and waxing, but these methods are temporary and offer varying degrees of success. In-office laser and light-based hair removal. 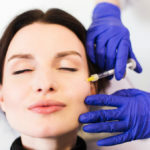 Lasers and light sources are used to safely and effectively treat larger areas of unwanted hair with minimal patient discomfort and fewer complications than other hair-reduction methods. Most lasers are equipped with a cooling device that reduces the discomfort from the laser light and also protects the top layer of skin from excessive heating and potential changes in pigmentation. Laser and intense pulsed light (IPL) devices send specific concentrated beams of light through the skin that are absorbed by the melanin (dark) pigment present in the hair follicle shafts. Because hair grows in cycles, repeated treatments are necessary to destroy the hair follicles. The ruby, alexandrite, diode and intense pulsed light systems were the first lasers approved by the U.S. Food and Drug Administration and Health Canada for hair reduction. Lasers and light sources work best on light-skinned, dark-haired individuals because the light from these lasers is not significantly absorbed by dark pigments in the surrounding skin. Devices with longer wavelengths, such as Nd:YAG lasers, have the ability to treat darker skin types. In general, three or more treatments are required to achieve permanent hair growth reduction. Darker hair responds best to laser hair removal. 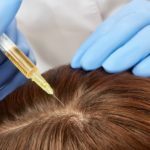 Lighter-colored hair is least responsive, but topical medications can be used in an effort to increase effectiveness. Patients seeking laser hair removal are advised to avoid tanning or sunless tanners and to use a broad-spectrum sunscreen for up to six weeks prior to treatment. The most common side effects include discomfort, swelling, and redness that last one to three days. Other possible side effects include blistering, herpes simplex outbreaks, bacterial infections and temporary skin lightening or darkening (especially in patients with skin of color or those with tans). Treatments are repeated every four to eight weeks, depending on body area. 4 for the face and 8 for the body.There is NO benefit to earlier treatment. 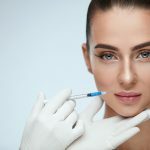 Patients are instructed to avoid sun exposure and to use a broad-spectrum sunscreen with a Sun Protection Factor (SPF) of 30 or higher following the procedure.